Composed by Isaac Albeniz (1860-1909). 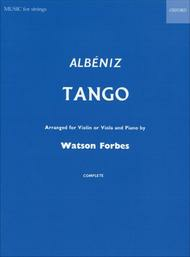 Arranged by Watson Forbes. Pieces & Studies. 4 pages. Duration 2'. Oxford University Press #9780193551350. Published by Oxford University Press (OU.9780193551350). ISBN 9780193551350. 12 x 9 inches. 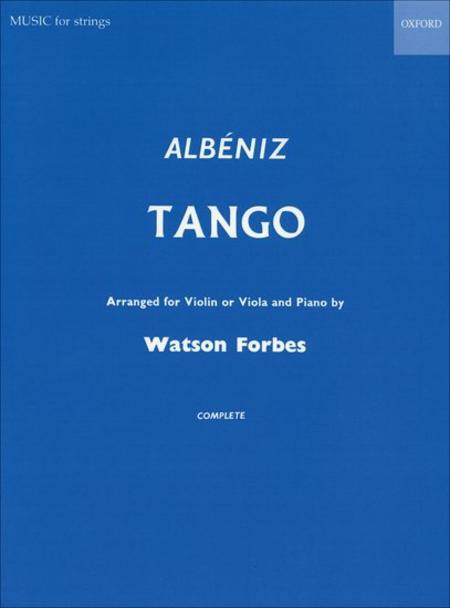 An idiomatic transcription of the well-known Albeniz Tango, for violin or viola and piano.